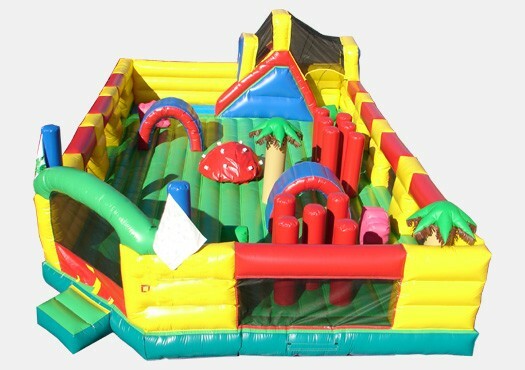 The Ultimate Playground is the perfect Commercial Grade Inflatable for your Church, School, Rental Business, or other institution. With multiple options, vast jumping areas, and tons of windows for supervision, our Ultimate Playground will be the center of attention anywhere. Built to last year round this Commercial Inlfatable has been manufactured with a High Quality Commercial Grade 18 oz. PVC material.